Happy Presidentsâ€™ Day, everyone. 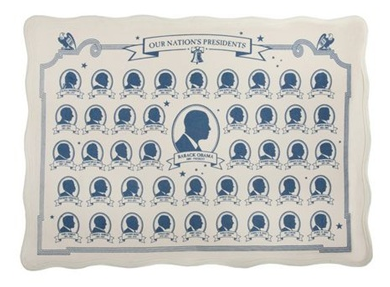 If your pad is decidedly lacking in presidential representation, consider adding some with any of these fun and very unimpeachable items. The eagle: beloved national bird of presidents past and present. 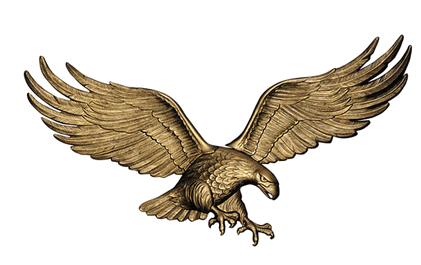 This brass eagle has great potential as wall flare. $58.99. Today is also George Washingtonâ€™s birthday. 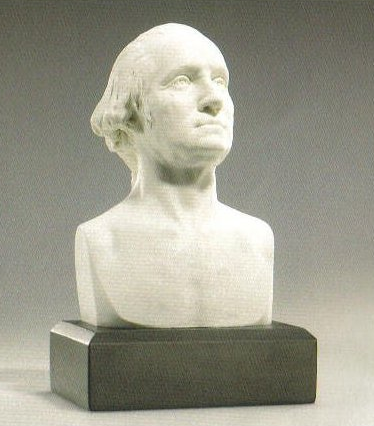 This Washington bust would make a regal bookend. $18.95. 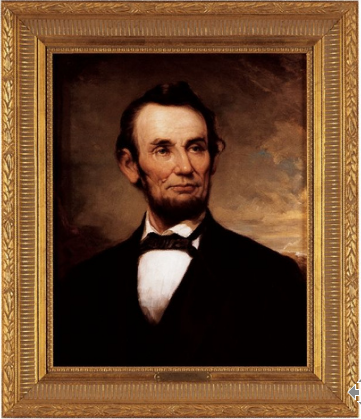 Let Honest Abe keep watch over you with this nifty replica painting. $199. Make use of these placemats and youâ€™ll never again forget that Millard Fillmore was actually a president (1850-1853). $54 for a set of four. 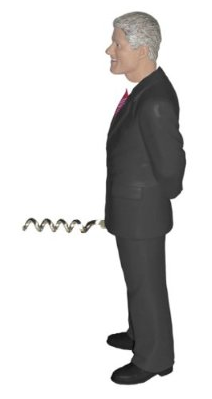 Like Bill, this corkscrew may not be entirely classy, but boy, it sure is charming. Stick this life-sized cardboard Reagan in a corner the next time you throw a party and heâ€™ll have your guests a-chattering in no time. He was â€œThe Great Communicatorâ€ after all. $34.99.